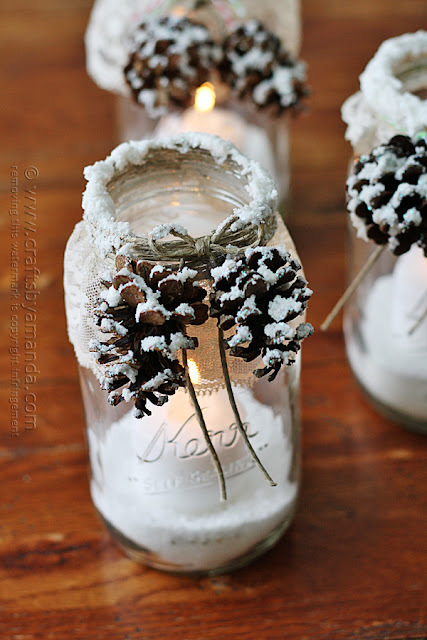 Jars are for all seasons and these snowy pine cone luminaries from Crafts by Amanda are perfect for winter. Plus they are so simple to make that you will be amazed. I think I am some pine cones laying under the tree out front...I might have to give this one a go myself. Click over and get the full instructions for how to make your own from Amanda. Be sure to click over and pin this image from the original source.